Sometimes an art gallery’s library is just as interesting as the artwork. Many contemporary art galleries often have a library on site, so visitors can sit and enjoy reading books about the artists and the permanent art collection in a particular gallery. An art gallery library also serves to provide a greater insight into featured artworks by hosting a strong collection of literature and relevant documentation. On recent trip to Hobart one of our staff discovered a Library in the depths of the extraordinary MONA art museum; a collection of 5,000 books on art and ancient cultures housed in a quiet, beautiful modernist chamber. It wasn’t quite the lively hub that we have here at Tea Tree Gully, but goes to show that organisations everywhere still like to collect fascinating books for people to read. 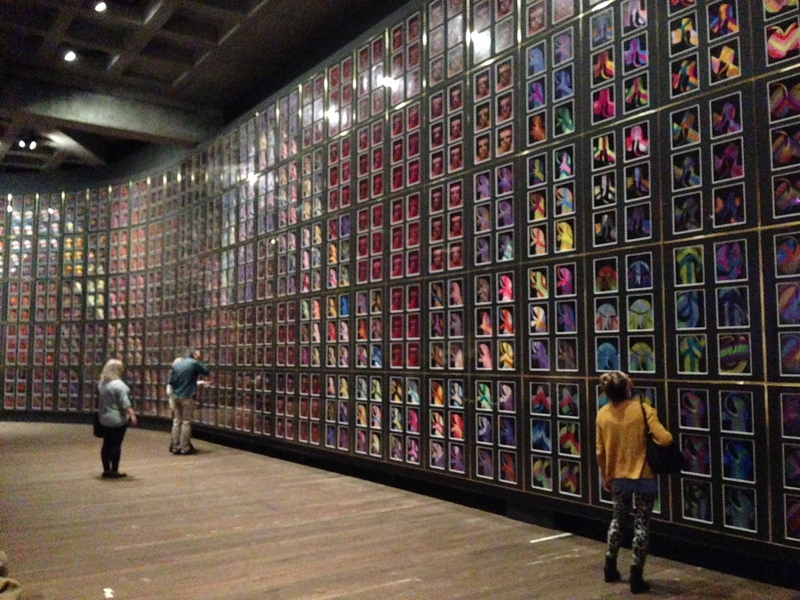 Artworks at MONA in Hobart, Australia. Across the world, many significant art galleries have amazing libraries as well. 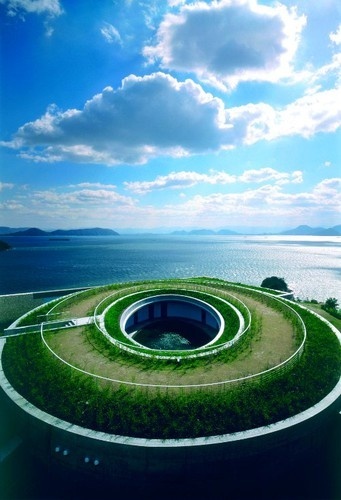 Naoshima Island, off the southern seaport of Oyama in Japan, is dotted with art galleries and their libraries. One of these galleries, Benesse House, features contemporary art works from artists like Andy Warhol and Yayoi Kusama, which dazzle in the mezzanine style layout that provides views of art and the surrounding seaside. In the middle of the gallery, right behind an unremarkable corner, is a library nook filled to the brim of Japanese and English books regarding artists’ work. It’s particularly helpful for those seeking a more detailed explanation of the art works they have seen, particularly when the captions are in a foreign language. Benesse House – yes there is a library inside, which soaks up this amazing view. 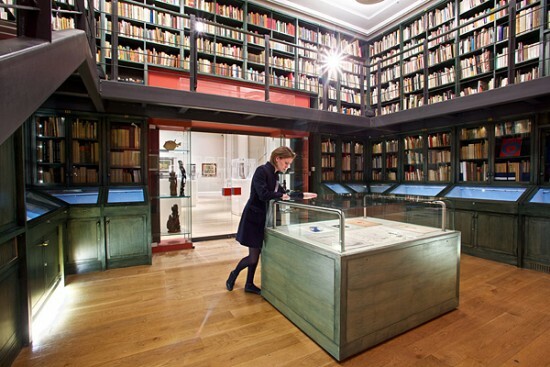 History buffs can get lost in the books at the Scottish National Gallery of Modern Art Library, which has items in its collection dating back to the 1300s. The Archive is also particularly rich in papers relating to art and artists in Scotland. The National Art Library in London’s Victoria and Albert Museum is a major public reference library of fine and decorative arts of many countries and periods. It is a major source of reference for curators, journalists and artists worldwide. Please see one of our staff if you would like to see our collection of art and craft books, which are located in the non-fiction 700s section in the Tea Tree Gully Library. In the past couple of weeks we’ve reported on some of the exploits of our well-travelled staff. Sonya & Chris talked about overseas adventures in the US and Africa, and Kathy outlined one of her recent inland Australia treks. 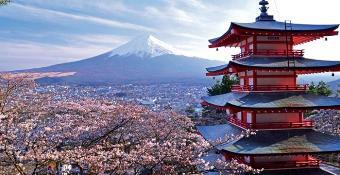 This time we turn to Japan, a favourite of Penny and Helen. At 27, I quit my job, to live in the Land of the Rising Sun becoming an English teacher in primary schools. I lived in the regional city of Takatsuki, located halfway between Osaka and Kyoto, making it the perfect base for exploring and domestic travel. I travelled to Tokyo, Kyoto and Hiroshima several times, which are all amazing places but some of the most interesting places I visited are much less-known. One of these was the island of Naoshima, which is located off the coast of Okayama. Naoshima is dotted with contemporary art galleries, built into the hills to soak up ocean and island views. 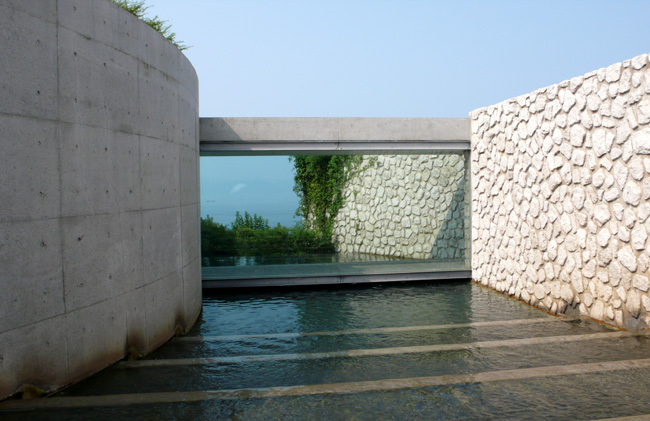 One of the main galleries, Benesse House, consists of four buildings all designed by renowned Japanese architect Tadao Ando. It’s filled with works from artists all over the world, including Andy Warhol, Jackson Pollock and Yayoi Kusama. One of the main pleasures of the island is encountering the large sculptures and artworks outside, whilst taking in the views of Japan’s Inland Sea region. For those who like their art near the sea, I cannot recommend it highly enough. 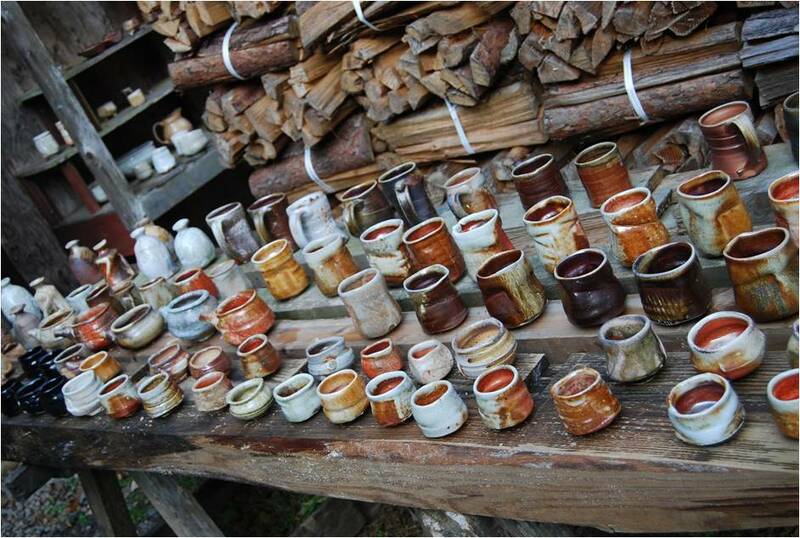 Another highlight for me was Shigaraki, a small town world famous for pottery located in the central Shiga Prefecture. Artisans have been making pottery here since ancient times and the area is rich with locally mined clay. The entire main street was lined with stores selling ceramics and in each store I visited, you could see ceramic artists working on their new designs. I bought 3 well-priced, hand-crafted ceramic teapots and they always remind me of Shigaraki whenever I drink my favourite hot beverage green tea. Helen adds for prospective Japan tourists; A visit to a cat cafe or a maid cafe is always a highlight! 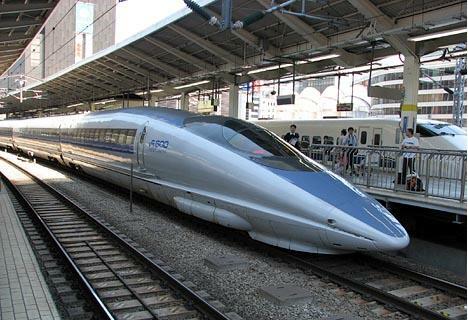 For transport gunzels, travelling by Shinkansen up and the country is a fabulous experience. Ensure you pick-up food from the supermarket before you jump aboard…. And if you are unable to identify it there is no doubt it will be fabulous! Even though it’s 8000km due north, Japan shares the same timezone as us, so it’s generally jetlag free! Over on our Facebook we talked about some new Japan resources that had recently come in. If you’ve been to Japan head over to that post and add what you recommend to see. Also, if you’re planning a trip, we have the most recent Lonely Planet and Eyewitness guides as well as a huge range of other Japan highlights books.